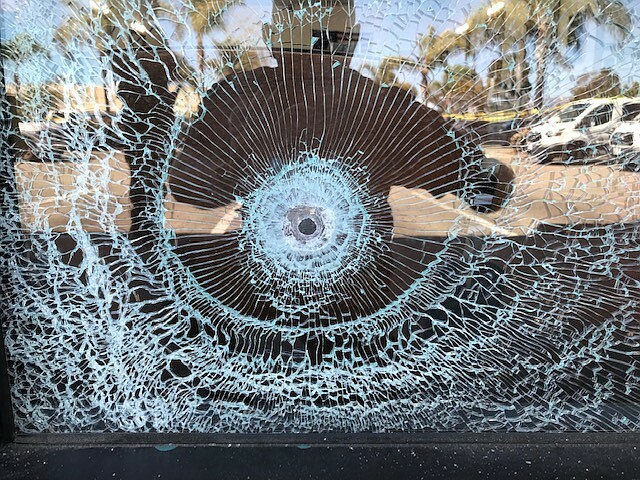 Photo: SBSO Bullet holes were found in the window of Wolf's Head Barbershop in Goleta. The Wolf’s Head Barbershop on Storke Road was shot up early Friday morning. UCSB Police and I.V. Foot Patrol officers searched the area after several calls came in to dispatch reporting the sound of gunfire near Hollister and Storke. Investigators spotted bullet holes in the barbershop window the next morning. Law enforcement is requesting the public’s help with related information. Call the Sheriff’s Criminal Investigations Division at (805) 681-4150, phone the anonymous tip line at (805) 681-4171, or fill out the form online at sbsheriff.org/anonymoustips.html.